An extremely cold cabin caused a passenger to argue with a Hawaiian Airlines employee. The man, 66, threatened the worker after being told a blanket would cost $ 12. According to Rob Pedregon, a police spokesman at Los Angeles International Airport, the elderly man said he refused to pay because the environment was too cold. Then, during a conversation with an airline representative, the man stated that he wanted to "hit someone behind a wall because of it." The behavior of the disgruntled passenger was informed to the authorities, who requested that the flight to Honolulu be redirected to Los Angeles. 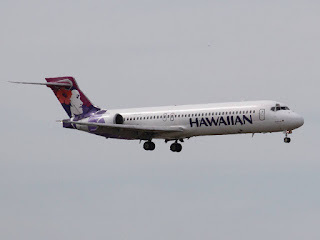 After the landing, police and FBI agents met with Hawaiian Airlines employees and the troublemaker, and decided that the passenger would not be assessed. "We questioned the parties involved and determined that there was no crime or threat." Although everything had ended away from a police station, the flight still went out of its route. "Changing a flight is never our first choice, but the crew felt it was necessary in that case to go to Los Angeles and land the passenger before our flight over the Pacific Ocean began," said Alison Croyle. A spokesman for Hawaiian Airlines.